It’s no secret that more San Franciscans are jumping on the back of a bicycle for their daily commutes. Bicycles offer a green alternative to automobiles, they’re more affordable, and present a great opportunity to combine exercise with every day transportation. (Not to mention there’s just something fun about tooling around the city on a bicycle.) But bicycling in San Francisco (in any city really) present a number of speed bumps and your equipment should be up to those challenges. So your favorite San Francisco bicycle accident attorneys at Sally Morin Personal Injury Lawyers have put together a short list of the best city bikes for 2017 for our amateur urban cycling enthusiasts. This no-nonsense city bike earned the Gear of the Year award from Wired Magazine because of its elegantly simple design. It might not look like a technical marvel (two wheels, pedals, and a seat) but the 8-speed internal drive train is really where the magic happens. The hub’s belt drive makes gearing transitions as smooth as possible—wonderful for cyclists who want a hassle-free riding experience without breaking a sweat. The Ajax is available with a standard or open frame (previously known as a ladies’ frame) and comes with pre-installed mounts for a number of accessories like racks, baskets, fenders, and kickstands. It is a bit pricey for a newbie cyclists at $1,699 but with precision engineering and top-tier support it will last a lifetime. This ultra-light cruiser is an entry model bike (priced under $400) and offers elegant olde skool lines (think monocles and mustaches and you’ve got it). One thing you will notice is there are no hand brakes (only coaster breaks) which might pose a problem if you’re not used to riding. You can choose between the simplistic one-speed transmission or opt for a three-speed Shimano shifter to make climbing San Francisco’s hills considerably easier. The Elliston comes standard with front and rear fenders (which keep your work clothes nice and clean on the commute) and can be equipped with various baskets, racks, and accessories to customize your ride—all of which you can purchase separately or package together with City Bike’s “Deluxe” model Elliston. This bike is built around an extremely light aluminum frame—which makes it incredibly easy to schlep inside, up stairs, or over obstacles at work or in your apartment. This is yet another bike that features a belt-drive system for smooth transition and ease of use—which adds a little to the price tag of $2,000. But one feature that comes standard (and is essential for San Francisco cyclists) is the 11-speed Shimano shifter—no stress hill climbing made easy. The Fairfax also comes standard with fenders (to keep mud and road grime to a minimum) and a carry rack. On excellent safety feature that experts recommend to avoid bicycle accidents in San Francisco is a lighting system—and that’s included as well. The dynamo-driven lights don’t require batteries—just pedal power—and provide bright illumination day or night. This urban bike is a very efficient (and affordable) folder—perfect for commuters who only bike partway to work. You can fold it up, carry it on the BART, or toss it in the back of an Uber until you get where you want to ride then snap everything back into place in seconds. The one-speed drive train does leave a little to be desired but when you consider the $600 price tag it’s a compromise San Francisco cyclists may want to make. The second model (named the Giant Expressway 2) features a 7-speed shifter and eliminates the fenders and rack but retails for $100 less. This bike was built to take an everyday beating on city streets and get up to do it all over again the next day into the foreseeable future. When choosing a commuter bike for urban living, you have to consider the longevity of component parts. Priority Bicycles crammed some high-tech, low maintenance gear into their Diamond Frame to make an affordable ($400) bike that’s built to last. The enclosed drive train keeps dirt grime and contaminants out—prolonging life and eliminating grease stains on your trousers. The puncture resistant tires make sure you get to work on time every time. The 3-speed hub gives you the freedom you need to make your ride comfortable without all the complications of a transmission with dozens of gears. The company stands behind their product too with a 100% satisfaction guarantee. 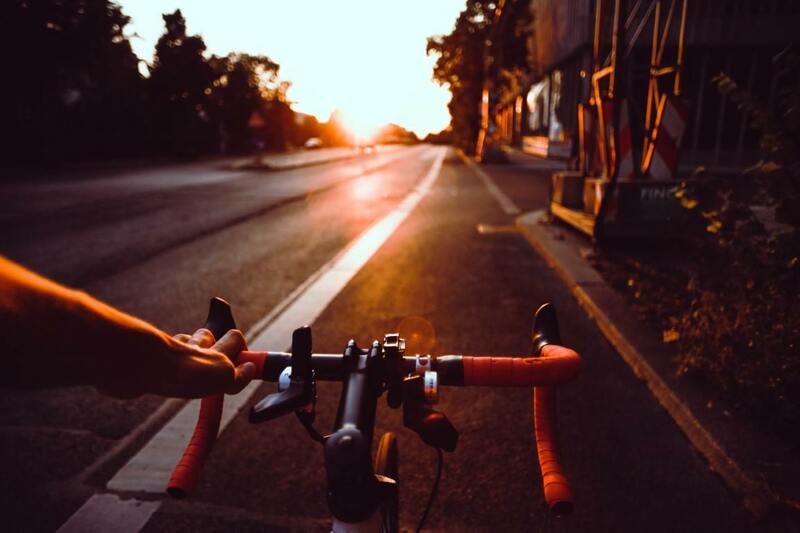 And remember, if you have been injured in a crash, the experienced San Francisco bicycle accident attorneys at Sally Morin Personal Injury Lawyers are here to help. Submit your case online or call (415) 413-0033 today.